Get to know the region known as the place where the portuguese nation was raised, where everything started, in you private luxury vehicle, with a private tour guide. In this private tour from Porto, you will get to know Braga and Guimaraes, two of the most important cities that show where and how Portugal was born. You will visit a World Heritage site and the oldest city in the whole country, Bracara Augusta. Enjoy your time in Porto as much as possible and take this private 8 hour tour where you will visit two of the most historical cities of Portugal, Braga and Guimaraes. You will get to know the most emblematic and top spots of this wonderful area in your private luxury vehicle, with a private tour guide. We will pick you up from your hotel or place of choice in Porto, and you will go, together with your private tour guide, to Braga and Guimaraes. This private tour is a journey to the real beginning of the portuguese nation. You will go to the place where Portugal was born and where everything started. You will get into the the authenticity and genuinity of these small cities, that host the deepest history of the Country. Your private driver and tour guide will pick you up from your place of choice in Porto and start driving towards Guimaraes. This city is regarded as the birthplace of Portugal, and hosts a very wide variety of monuments and old buildings. Get to know the charming city centre of gothic buildings, traditional houses and delightful plazas. 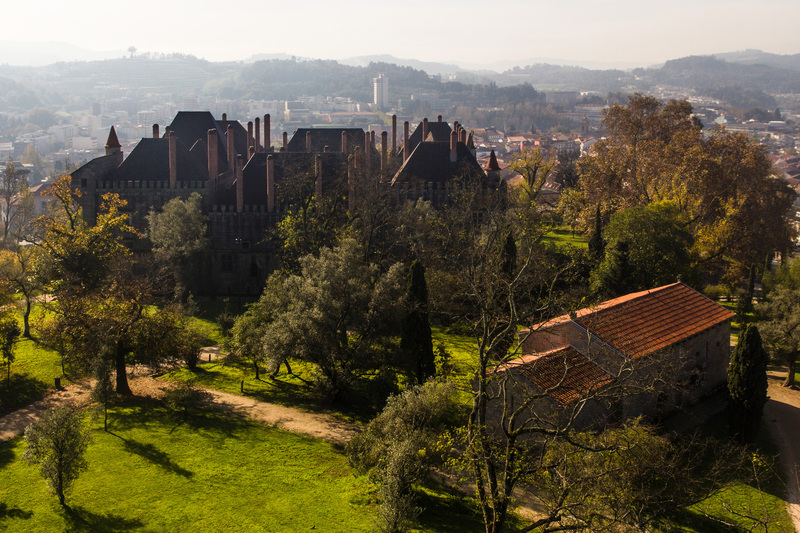 You will visit the ancient castle of Guimaraes, which is considered as the first of Portugal. This city has been declared as World Heritage site by the UNESCO in the year 2001 due to its high amount of historic and emblematic monuments. You will get to know the Dukes of Braganza Palace, inspired on the 14th Century North European architecture. You will visit the oldest town in the whole country, Bracara de Augusta (Braga), which exists since the 1st Century BC. Founded by Augustus; it was located on one of the main Roman roads in the Iberian Peninsula. Braga holds also the oldest Cathedral in the country, where its first mass celebrated was in 1089. Braga is to this day one of the country’s main religious centres, having the Holy Week Celebrations and the São João Festival as the highlights in its liturgical and tourist calendar. You will then visit the Sanctuary of Bom Jesus do Monte, located only 5 kilometers east from the city of Braga. It receives a very large number of pilgrimages every year. Its very well known, and the main reason for its visiting, it’s the fantastic baroque steps that takes up to the sanctuary.